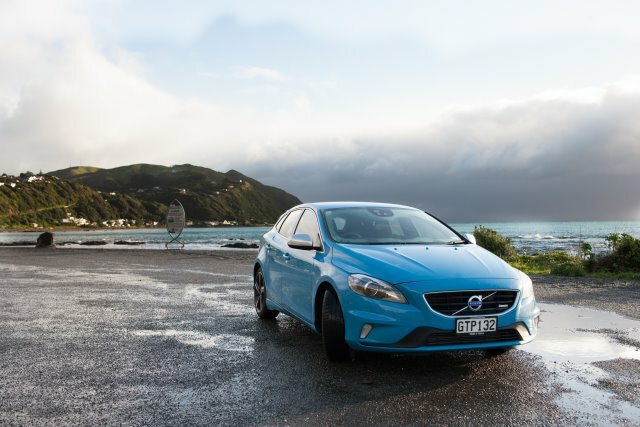 Read about the Volvo V40 in Autocade. There simply aren’t many Swedish-speaking motoring writers of Chinese ethnicity out there. 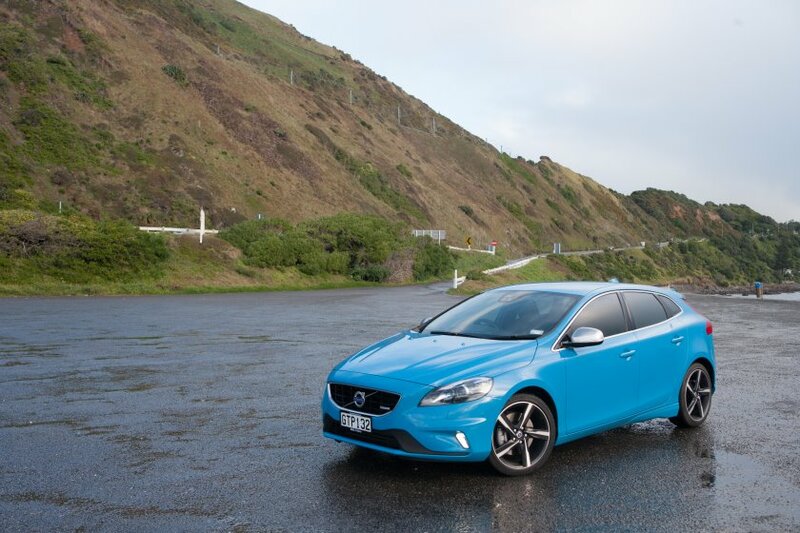 Which may mean I’m the best qualified person to review the Volvo V40 T5 R Design. The reference is relevant. Volvo, the one surviving mass-market Swedish car brand (there is Koenigsegg in southern Sweden, doing its thing with specialist sports cars, while at the time of writing, a newly resuscitated Saab had only managed pilot production with some old tech), is a subsidiary of Geely, a Chinese company with such brand names in its home market as Gleagle and Englon. It’s also the Chinese company that makes the London taxi in Shanghai, and started off years ago with cast-offs of the third-generation Daihatsu Charade. However, to have taken Volvo off Ford’s hands in 2010 was no mean feat, and Geely sees the Swedish brand as a coming of age. It wasn’t like Shanghai’s SAIC, which took over MG after the brand wound up on its last legs, or Beijing’s BAIC, which bought some Saab designs when that company was on the verge of collapse; Geely purchased a revived, strong Volvo for US$1,800 million. It was less than what Ford paid for it in the 1990s, and it was certainly the most audacious move made so far by a Chinese car maker. Despite all the talk of platform-sharing during the Ford era, Volvo remains very capable on its own. 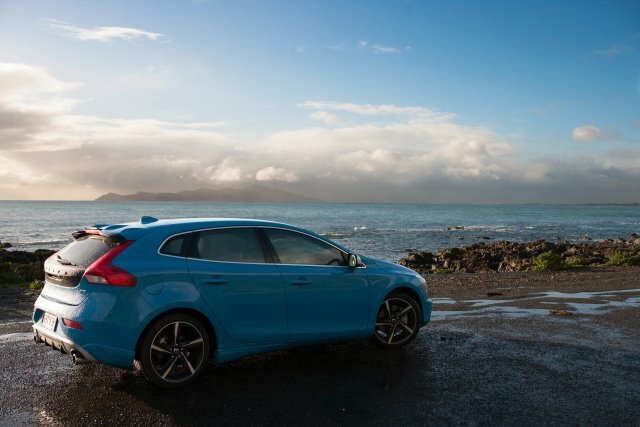 While the V40 tested here has a Ford Focus platform as a starting-point, one must remember that during all the years under Dearborn’s rule, Volvo was the centre of excellence when it came to safety. It didn’t suddenly lose its capability of designing and engineering cars just because it spent time within an American corporation. And while we haven’t heard of major triumphs at Volvo under Geely (unlike Jaguar Land Rover under Tata), the company is putting out confident noises about the future, especially now it has strong access to the lucrative Chinese market where sales are up 40 per cent year on year. The V40, while developed under Ford, is still a clear sign of what could happen. Geely knows Volvo is the jewel in its crown. It has had no desire to Sinofy the Swedishness of the brand, and the V40 comes out proudly in this context. It’s a pleasing shape, full of Swedish detailing that bridges the design philosophies established by Peter Horbury with Volvo’s more glamorous new direction, revealed earlier this year, under Thomas Ingenlath. Horbury’s signature touch is dividing the Volvo silhouette by means of a waistline, inspired by Swedish furniture. The surfaces are relatively flat and robust, but for where they join by means of a gentle arc, most evident from the taillights on modern Volvos. Ingenlath, meanwhile, still believes in clean surfaces, but his vision is more lithe, the shapes less industrial. 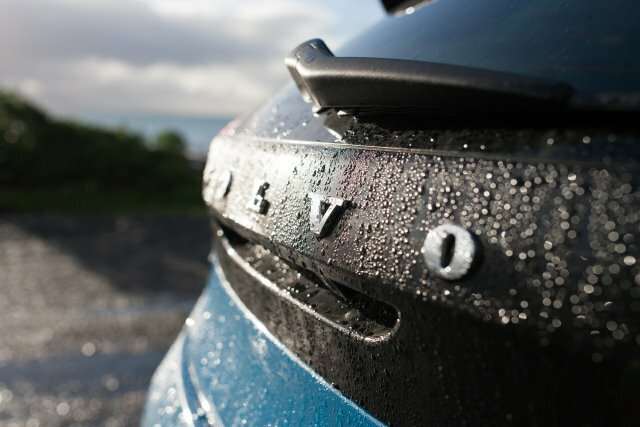 The waistline in the V40 is a perfect example. 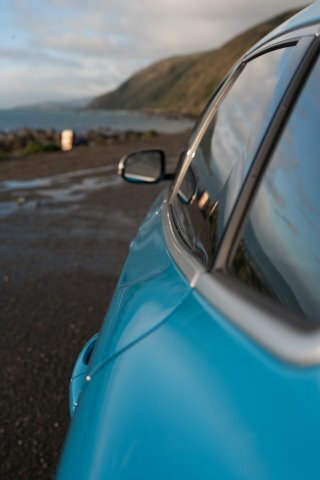 It’s the one feature that car anoraks will love, not just because it combines the Horbury ideas with more flow, but because of a slight “hop” in the rear door as your eye goes from front to back. It instantly recalls the most famous television Volvo of them all, the P1800 and 1800S, as driven by Roger Moore when he played Simon Templar, a.k.a. the Saint, through the 1960s. The same car inspired Ingenlath when Volvo showed off its Concept Coupé earlier in 2013, where the P1800 connection was far more obvious. Volvo would rather you remembered the P1800 and not the boxy, though practical and safe, cars of the 1970s and 1980s, the ones that gave rise to the line ‘Volvos. Boxy but good,’ in the 1990 film Crazy People. While those put Volvo firmly on the map as the producer of safe and slightly anachronistic cars, the 21st century company wants to demonstrate that you can combine style with safety. It hasn’t given up its goals: Volvo says it does not want to see anyone killed or seriously injured in one of its cars by 2020. 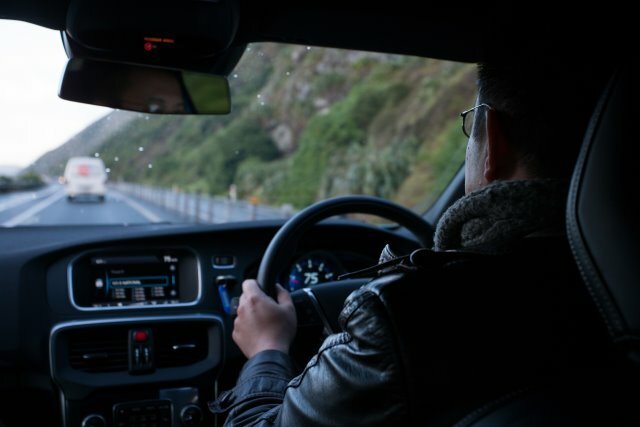 It has worked on collision avoidance (a feature we have yet to test) and even automatic braking when an errant pedestrian is “seen” to stray into the path of the car by its cameras. But with the Swedes and the Chinese rather good at consensus in their respective cultures, and with the Chinese desire to see Volvo challenge the German premium brands, the company is charged with delivering with more panache. 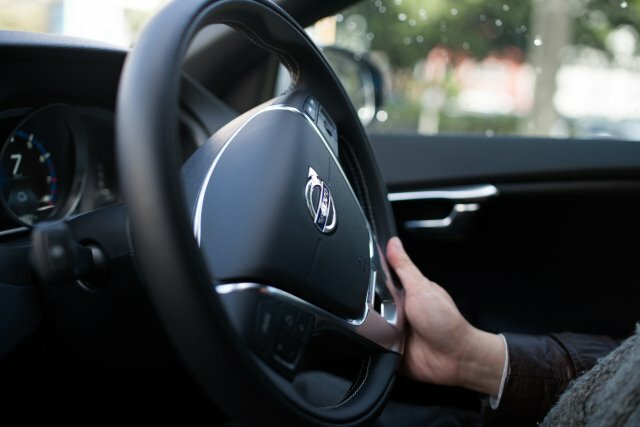 Li Shufu, the chairman of both Geely and Volvo, isn’t that confident that understated taste and the so-far ostentatious Chinese will go together, hence the nudge to more expressive, premium designs. Things could go one of two ways: Hong Kong and Macau still have their flash Harrys despite years of being able to develop their tastes, but will China reach saturation point with overstatement, given that even some of Geely’s earlier Daihatsu- and Citroën-based efforts wound up with chrome-laden grilles? For now, the V40 T5 R Design seems to fulfil both aims. The V40 T5 R Design is full of those touches that will please the gadget-oriented among Chinese buyers, and there’s just enough Swedish restraint to keep the traditionalists happy. While Li is thinking Audi A8 territory when he talks about ‘upmarket’, the V40 is nevertheless a welcome step up from the likes of the Focus, in a niche that Volvo desperately needs to play in. 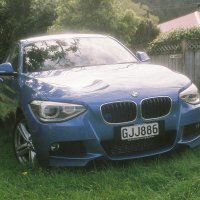 Years under Ford meant that it lacked a proper, family car in the C-segment, where Golfs, Audi A3s and BMW Einsers play. 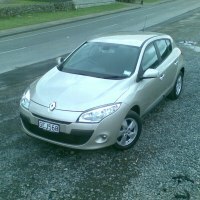 Its smallest car was the C30, a three-door hatchback, but those who wanted a more practical car went elsewhere. You can look at a photo of Stockholm in 2002 and compare it to one taken in 2012 to see the difference: Volvo is no longer the dominant force on local roads. Even cabbies, once fiercely loyal to the brand, went to Priuses and Mercedes-Benz B-Klasses. Volvo is going after family buyers with lesser V40s, but the R Design models are something different. They play on Volvo’s sporting heritage as well as giving fashion-conscious buyers something to appreciate. The 17-inch alloys and lowered suspension, for a start, suggest that this is no simple V40. 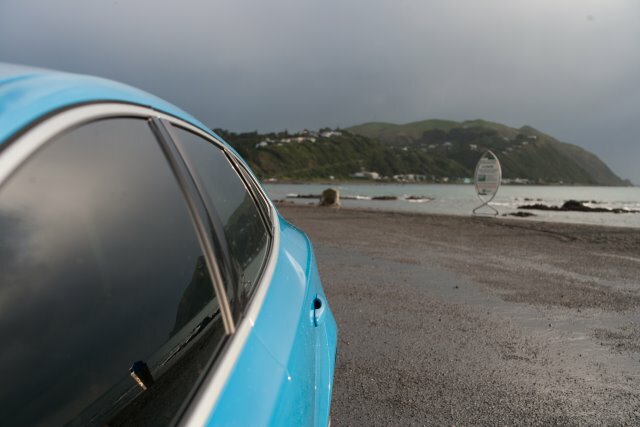 The colour divided opinions—both photographer Matthew Beveridge and I loved it, especially since it wasn’t the usual dull silver or black that 2010s cars all seem to be. Blue seemed to be an appropriate colour for a Swedish car, and we noticed one of our colleagues in the UK had the diesel version on test for another publication, in exactly the same shade. This is a car that stands out, with just enough subtle chrome touches (the door mirrors, the grille surround, the window line) to tell you that it’s a cut above. There are other pleasing details that are less to do with heritage and more to do with the aggressiveness of modern car design. 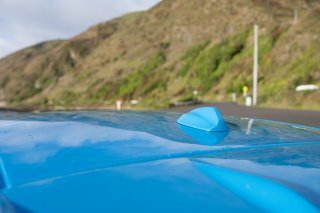 The rake of the windscreen, for example, is sleek and sporting. Catch the V40 at the right angle and you might see the bonnet crease go in almost a straight sweep to the apex of the A-pillar. 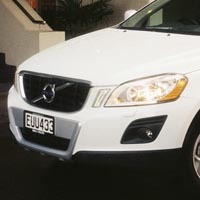 The hexagonal grille is set forward, while the lower air intake opening peeps out from a characteristic bumper shape. At the rear, the twin exhausts enhance the performance credentials. These touches continue to the interior. 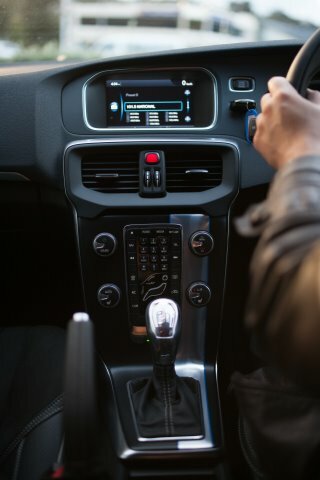 The large central dial is flanked by digital TFT displays, and the party trick is that the read-outs change depending on which mode you choose (Elegance, Eco and Performance). 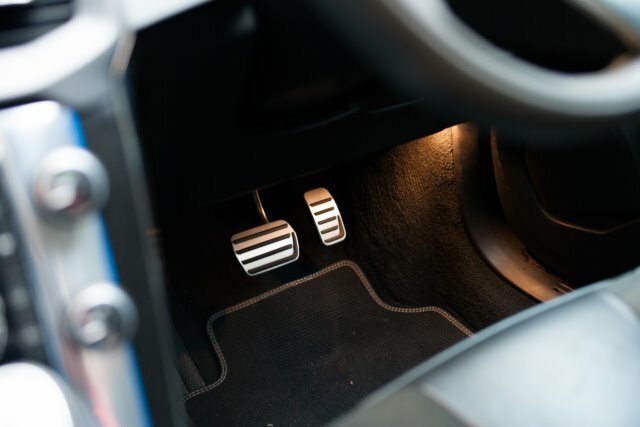 The shifter is illuminated. The steering wheel is lovely to hold, while the seats are beautifully trimmed and supportive; and the V40 provides an excellent driving position. 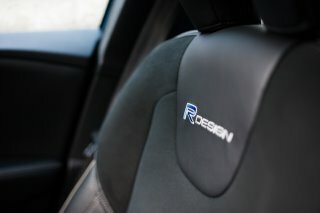 If Audi set the standards for interiors, then Volvo has indeed matched them in its own way. There are the usual Volvo touches, such as the thin centre console and its numerous switches—a bit of a distraction in an age of more buttonless interiors—but, overall, the design works. There are no retro touches here, I should add: Volvo has worked hard to make this a modern driver’s environment, and it’s a very welcome place to be. The T5 R Design is equipped with a strong 187 kW2·5-litre turbocharged five-cylinder unit, giving it more grunt than some of its German rivals, and we found we could tap into it easily on our test drive, escaping from difficult intersections with ease. It’s responsive, unlike Volvos of the previous decade, and while it tips the scales at 1,468 kg—slightly on the heavy side—we didn’t notice a performance lag. What we did notice was the refinement, making the R Design more of an all-rounder than, say, the previous-gen Audi S3 that Lucire tested or, for that matter, the very well balanced BMW 125i. This does come at a cost, in terms of fuel consumption, averaging 25 mpg for us. The S3 is a perennial favourite here, because it was the one C-segment car that none of us wanted to give back. The V40 has replaced that to some degree: it might not have the rawness of the Audi, but it balances that with an in-built solidness, conveyed both in its styling, with the high waistline and flat surfaces, and the real refinement inside. We didn’t want to really give it back to Volvo, either. It didn’t make us feel like the Saint—our XC60 review had already exhausted the Leslie Charteris references—but the V40 always welcomed and enveloped you.